Dr. Ahmed Bahar, the First Deputy Speaker of the Palestinian Legislative Council (PLC), received on Saturday the delegation of the Egyptian "Gaza fans" convoy, composed of businessmen, doctors, and engineers, at the PLC headquarters in Gaza. Bahar praised the Egyptian official and popular positions towards the Palestinian cause and in particular President Mohamed Morsi's supportive positions to the Palestinian people's rights, appreciating the Egyptian efforts in support of the Palestinian cause since the first moment of the Egyptian revolution. Bahar pointed out to the Egyptian successive solidarity visits to Gaza, saying that it represents a direct message to the occupation that Egypt is supporting the Palestinian people until gaining their freedom and stability. "Egypt today is not the Egypt of yesterday", said Bahar "the declaration of al-Furqan war on Gaza was from Cairo, while the declaration of victory of the recent aggression was from Cairo thanks to President Morsi's efforts. 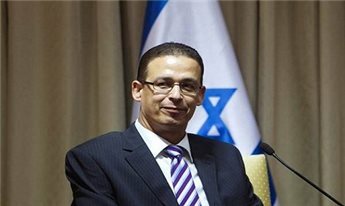 For his part, the head of the Egyptian delegation, Wael Al-Ansari, confirmed that Egypt attaches great importance to Gaza and Palestine, stressing that Palestine is part of the doctrine of the Arab and Islamic nation. He added that the Egyptian visits to Gaza will continue until the liberation of all Palestine and al-Aqsa Mosque, stressing the need to complete a practical program to support the Palestinian people of Gaza. The Palestinian MPs praised Egypt's great role in support of the Palestinian cause and rights in the regional and international forums. The Euro-mid observer for human rights expressed its deep concern about the mistreatment of about 9,000 Palestinian refugees who fled from Syria and came to Egypt. 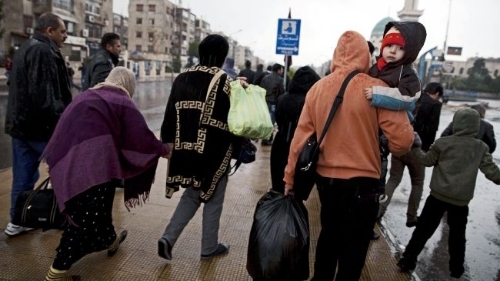 The Euro-mid observer stated in a report that the Egyptian authorities discriminate deliberately against the Palestinians who hold Syrian documents and do not treat them on an equal footing with the Syrian refugees. It warned that such treatment poses a threat to their personal security and creates complications in their legal status in the long run. The observer explained that the Palestinian refugee who holds a Syrian travel document is not allowed in the Egyptian territory except via one way from Damascus airport to Cairo airport, and those who come from Turkey and Lebanon are detained at the airport arbitrarily before deporting them to the destinations they come from. The Egyptian authorities deported lately two Palestinians to Lebanon upon their arrival at Cairo airport, and the Lebanese authorities, in turn, refused to have them and sent them back to Egypt where they have been locked up in Qanater jail, the observer said, pointing out that there are already some Palestinian refugees including a minor in this jail. The observer also noted that in a grave violation against the human rights of the Palestinian refugees who come from Syria, the Egyptian authorities also prevent their registration as refugees benefiting from the services of the UN high commissioner for refugees at the pretext that they are under the jurisdiction of the UNRWA as the Egyptian foreign ministry declared. Palestinian premier in Gaza Ismail Haneyya left the coastal enclave on Saturday en route to Cairo on a few days visit to Egypt. Taher Al-Nunu, the government’s spokesman, told the PIC that Haneyya would discuss a number of issues with Egyptian officials. He said that the most prominent among those issues would be the reconciliation, the prisoners, strengthening bilateral relations, and Israeli violations of the calm agreement. The Israeli government is exerting efforts to convince Egyptian authorities to send Cairo's ambassador back to Tel Aviv, the Israeli Broadcasting Authority reported Saturday. The IBA, an official Israeli state broadcaster, quoted “high-ranking” sources as saying that Egypt’s efforts to relocate the Israeli embassy in Cairo were making progress. As many as 9,000 Palestinian refugees fleeing the conflict in Syria and seeking safety in Egypt have found that the host country is discriminating against them – a policy left over from the pre-revolution governments and upheld by the Morsi government. The discrimination is realized in a few different ways and has an impact on the immediate safety of the refugees, as well as their longer-term status. Currently, a Palestinian refugee from Syria may only enter Egypt if they arrive directly from Damascus at Cairo's airport – a condition that is highly unlikely to be met moving forward, as the Damascus airport has been routinely closed. Any Palestinian refugee arriving from Turkey or Lebanon or anywhere else is detained at the airport and pressure applied on them until they agree to return to Syria. When Egyptian authorities have forced these refugees onto planes back to Lebanon or Turkey, those authorities refuse entry and force them back to Egypt. 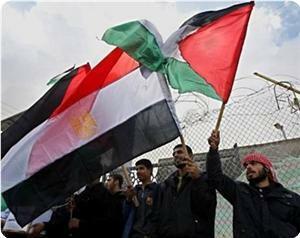 Once inside Egypt, however, Palestinian refugees from Syria are prevented from registering with UNHCR. The Egyptian Ministry of Foreign Affairs has claimed that the Palestinians fall under UNRWA's mandate, but Egypt is a territory over which UNRWA does not (and never has had) a mandate. Thus, Palestinian refugees are ineligible for residency, health care, food aid and other services and support provided by UNHCR to other refugees in the country. Egypt is bound by the 1951 Convention on Refugees and the subsequent Organization of African Union convention related to refugees. Yet, in the case of Palestinians, these are set aside. Sanaa Ibrahim (20 years old) and Khaled Ibrahim (29 years old) are the latest victims of this discrimination. Arriving via Turkey, the brother and sister were detained at the airport for 30 days. On two occasions Sanaa was flown to Lebanon, but the Lebanese authorities refused to allow her entry and sent her back to Cairo. This morning Sanaa, Khald and 3 other Palestinian refugees from Syria stuck at the airport, including a minor, were sent to Karatin Prison in Cairo, where they are effectively in a black hole. UNHCR is not allowed to have any access to them. Sanaa and Khaled have siblings who are citizens in Sweden and thus there is a strong case for emergency resettlement in Sweden. But because they are not permitted to register with UNHCR, there is no legal way to make the process begin for Sweden to consider resettlement. Today, Sanaa and Khaled are finding themselves in a black hole, unable to avail of the most basic forms of protection that should be granted to refugees. But this story is not just about the brother and sister – all Palestinian refugees in Egypt are in legal limbo and remain outside any form of international protection that agencies like UNHCR and WFP are ready to provide. The standing policy of the government of Egypt is the roadblock. 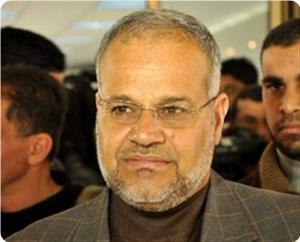 Mushir al-Masri, Hamas leader and member of its parliamentary bloc, stressed that digging tunnels under Egypt's borders with Gaza is an exceptional measure that resulted from the suffocating siege imposed on the Strip. 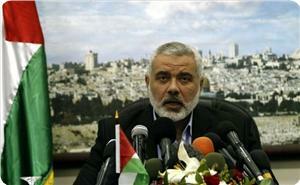 Masri said in remarks to the Egypt 25 TV on Wednesday evening: "The Palestinian people's problems have not changed. 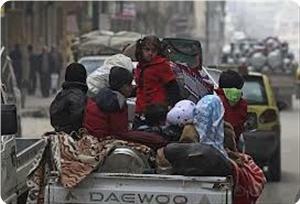 There is not only the problem of the siege, and many Palestinians have been prevented from travelling." Regarding the accusations propagated by some Egyptian media accusing Hamas of being involved in the Rafah attack and the killing of Egyptian soldiers, he stressed that all the rumors and accusations aim to undermine the Hamas movement. "No formal statement was issued by the Egyptian security or the Egyptian government accusing Hamas of being responsible for this incident," Masri said, stressing that his movement has nothing to do with the incident. The Hamas leader pointed out that since the incident, a joint committee has been formed between the Egyptian and Palestinian security, and that it has not proven the involvement of any party from the Gaza Strip in the incident. 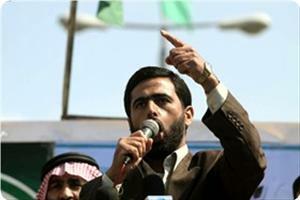 Masri added that the finger of accusation should be pointed to the Israeli occupation. He stressed that Hamas will never give up its principles and will always adhere to the Palestinian constants, until the liberation of Palestine. 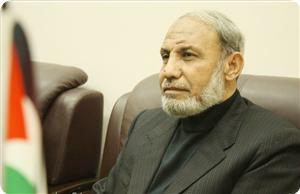 Member of Hamas's political bureau Mahmoud Al-Zahhar said there are Palestinian rivals fabricating the lies which some Egyptian media outlets have propagated lately against the Hamas Movement. "We are prisoners to the dictatorship of some unprofessional Egyptian media outlets," Zahhar stated on Wednesday in a meeting on the relations between the Palestinians in Gaza and Egypt. He stressed that this smear campaign against Hamas is real and cannot be denied, and there are daily false news against the Movement, adding that Hamas and the Egyptian leadership know well who makes and spread these lies. The Hamas official added that some of the propagators are Palestinians living in Ramallah and the Gaza Strip and their role is to produce news in a certain style against Hamas. Zahhar also affirmed that the leaked document which was addressed to Mahmoud Abbas by his Palestinian authority intelligence agency about hiring some media outlets in Egypt to distort the image of Hamas is true, and the PA formed a committee to investigate this leakage. In a related context, the Palestinian factions in Gaza, including Hamas and Fatah, agreed in a meeting on Wednesday to send a delegation representing them to meet with leaders of political parties in Egypt to promote the relations between the two peoples in light of the ferocious media campaign in Egypt against the Palestinians. Hamas spokesman Sami Abu Zuhri told the Palestinian information center (PIC) that the factions met for two hours and discussed in particular the latest media rumors that were spread in Egypt with the aim to tarnish the image of the Palestinian people. Abu Zuhri, who attended the meeting, said that all the participants in this meeting agreed on the need to protect the historical relations between the Palestinian and Egyptian peoples. National and Islamic Forces in Gaza stressed on the importance of the role played by Egypt to achieve the Palestinian national reconciliation, demanding Egypt to continue its role until the achievement of unity and the end of division. The National and Islamic Forces expressed in a statement on Wednesday, following a meeting in the office of the Popular Front for the Liberation of Palestine, their appreciation of the Egyptian army and its important role in maintaining the strategic balance with Israel. They confirmed that the Palestinian people and its national and Islamic forces will never intervene, in any way, in the Egyptian internal affairs. Participants in the meeting called on Egypt and all Arab States to make more efforts in order to end the Gaza siege and achieve the Palestinian unity. They have also demanded the Egyptian media to be careful when dealing with the Palestinian issues in general and Gaza issue in particular. They emphasized that the Egyptians' support for the Palestinian cause is an essential element for the continuation of the Palestinian liberation struggle that aims to achieve Palestinian national rights to self-determination and return and to establish a Palestinian state with Jerusalem as its capital. Dr. Sami Abu Zuhri, a spokesman for Hamas movement, denied allegations published at Palpress site, affiliated to Mohammed Dahlan, that Hamas intends to hand over Salafis detained in Gaza to Egypt. Abu Zuhri stressed in a press statement on Monday that no Egyptian authority has charged any Palestinian to talk about handing over Palestinians to Egypt. The spokesman denounced these allegations that constitute abuses to all the Palestinian people, saying that it is new attempt of some parties in Fatah movement to incite against the Palestinian resistance through dragging it into Egyptian internal affairs. 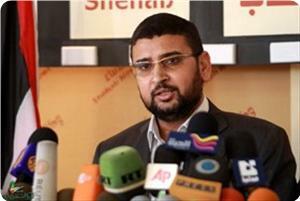 Abu Zuhri held these parties responsible for the consequences of this campaign on the Palestinian people. Palestinian premier Ismail Haneyya said his government is ready to cooperate with Egypt, if it asked, in any investigation leading to the killers of its soldiers in the Rafah incident last year. In a press release on Monday, Haneyya stated that Egypt's soldiers who were murdered in Rafah region are Palestine's martyrs. "We are committed to not interfering in Egypt's internal affairs and to standing at the same distance from all political forces in Egypt that is considered a strategic asset for Palestine," premier Haneyya highlighted in his statement. The premier stressed that the Hamas Movement is a national liberation movement and its sole choice is to resist the occupation and liberate Jerusalem and the whole Palestinian land. In a related context, senior Hamas official Salah Al-Bardawil expressed his confidence that the genuineness which the Egyptian people has would overcome the smear campaign that is waged by some media outlets against his Movement. "We believe that 'the rope of lies is short' and that the genuineness of the Egyptian people will overcome these lies and will remain faithful to the resistance, the Palestinian people and the sacred cause," Bardawil stated on his facebook page. The Islamic Jihad movement called on Egypt, the mediator of the truce agreement between the Palestinian resistance in Gaza and the Israeli occupation, to pressure the Israeli authorities to implement the agreement's terms, which ended the last Israeli aggression on Gaza in November. Sheikh Khader Habib, a leader in the movement, said in a press statement that the Israeli decision to the limit down the fishing area in Gaza Sea from six to three miles is a violation of the ceasefire agreement. Habib considered the Israeli decision as a systematic policy to drive fishermen further from them and establish new boundaries for the siege, urging the Egyptian mediator to pressure the occupation to commit to the terms of the truce. 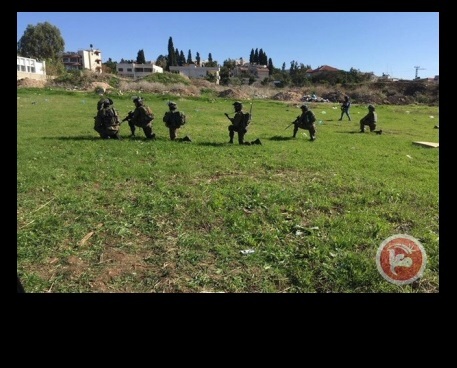 In related matter, Palestinian fishermen confirmed that the Israeli forces forced them on Saturday morning to pull back to three miles after reducing the fishing area. 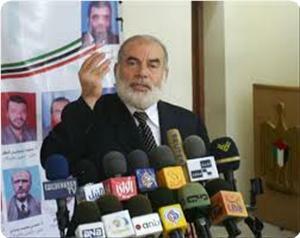 Nizar Ayyash, head of the Gaza fishermen's syndicate, said that the occupation forces implemented its decision to reduce the fishing area from six to three miles, where they fired toward the Palestinian fishermen in total violation of the truce agreement which had expanded the three-nautical mile fishing limit imposed by Israeli occupation, as part of its naval blockade of the Gaza Strip, to six nautical miles. The occupation forces announced that the Israeli Prime Minister Benjamin Netanyahu and Defense Minister Moshe Ya'alon agreed to reduce the permitted fishing zone in the Sea of ​​Gaza to three miles instead of six. This comes after an Israeli promise to Turkey to lift the siege on the Gaza Strip, after its apology for its crime against the Turkish Marmara ship. Deputy head of Hamas's political bureau Mousa Abu Marzouk appealed to all Egyptian journalists to scrutinize any information they obtain about the Palestinians and their resistance before publishing or airing it. Abu Marzouk made his remarks in a press release following his meeting on Saturday with dean of the Egyptian journalists Diya Rashwan. He said he urged Egypt's journalists not to make the Palestinian affairs an object of rumors and make claims against the Palestinians with no evidence. 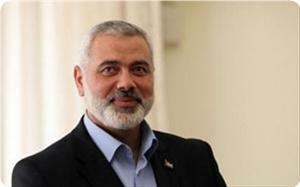 The Hamas official said the political stampede in Egypt was the reason behind the launch of many false accusations against the Hamas Movement, stressing that such allegations adversely reflect on the whole Palestinian situation inside and outside Palestine and serve only the Israeli occupation. Rashwan, in turn, expressed his rejection of making false accusations against the Palestinians and promised to hold accountable any newspaper or media outlet propagating fabricated news without proof against the Palestinians and their resistance. He highlighted that the Palestinian cause is the cause of all Egyptians and their political forces. In a related incident, a confidential official document leaked by Quds Press revealed that the Palestinian authority (PA) and its intelligence agency in Ramallah city are behind the media smear campaign in Egypt against the Hamas Movement and Egypt's Muslim Brotherhood. The Palestinian information center (PIC) posted on its Arabic website a copy of this document, which is addressed by head of the PA intelligence agency Majed Faraj to Mahmoud Abbas. The document, dated March 7, 2013, is a special report on some of the activities done in Egypt by "the PA intelligence committee assigned to follow up the Egyptian arena." The report stated that the PA intelligence committee phrased three statements issued falsely by Hamas and its armed wing and gave one of them to the foreign media and the others to websites known by Mahmoud Abbas and Egyptian media outlets, especially "Al-Watan" newspaper and "On TV" satellite channel. The report pointed out that the fabricated news against Hamas in these statements found an echo in the Egyptian street and helped damage the reputation of Hamas and its leadership and close many border tunnels which supply it with money and weapons. According to the report, the PA intelligence committee delegated the PA embassy in Egypt to provide some Egyptian TV channels with fabricated stories about Hamas and its relation with Egypt's Muslim Brotherhood and the considerable damage caused to Egypt by this relation. The report also noted that this committee took help from some Arab Gulf parties who hired professional journalists to propagate news against Hamas.